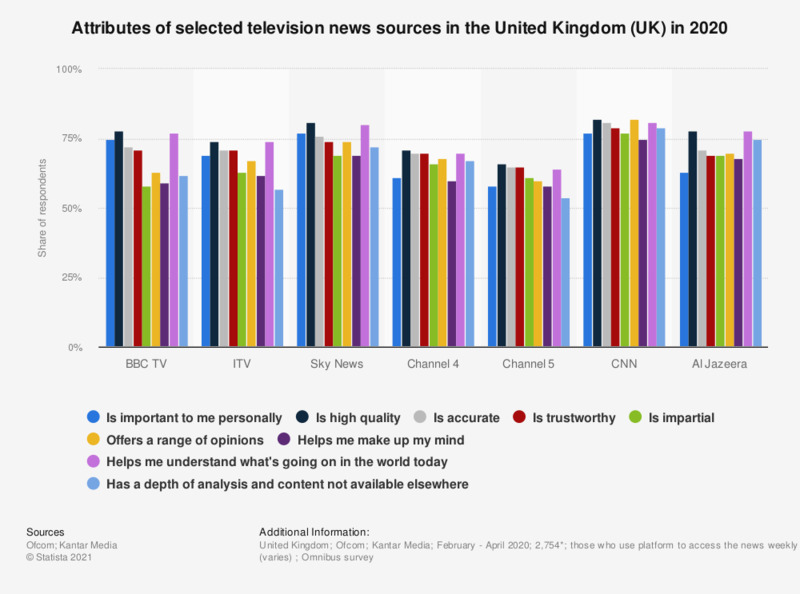 This statistic presents the leading attributes of selected television news sources in the United Kingdom (UK) in 2018, according to UK survey respondents. Of respondents, 79 percent rated BBC Television news highly in terms of quality. *n (BBC TV)= 3,112; n (ITV)=1,977; n(Sky News Channel)=1,052; n (Channel4)=742; n (Channel5)=423.